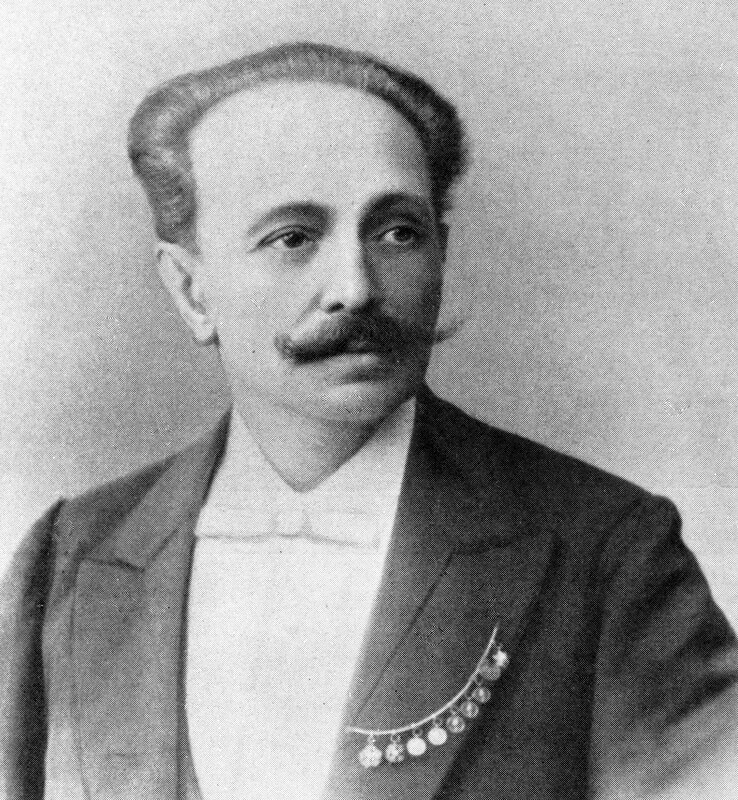 Marius Petipa, Russian ballet dancer and choreographer, 1898. March 11 marks the 200th anniversary of the birth of the French choreographer, whose ballets are still staged around the globe. 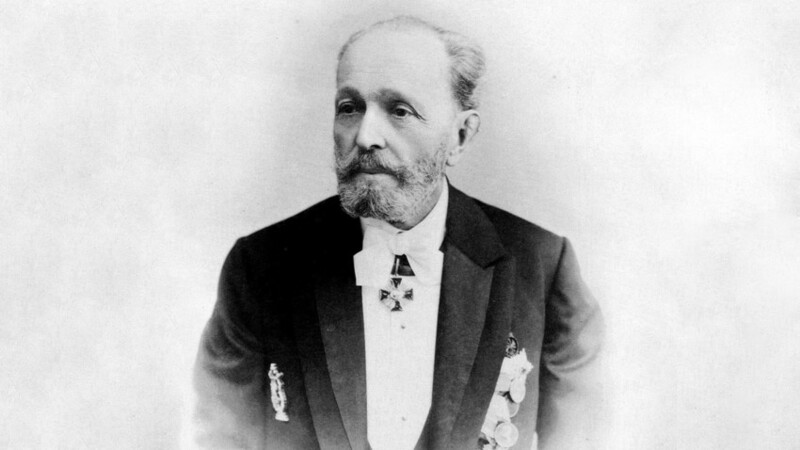 Marius Petipa’s name can be found on posters for Swan Lake, Sleeping Beauty, La Bayadère, Giselle, Don Quixote, and TheNutcracker - some of the most popular ballets in the world. His portrait also adorns countless walls: An old man with a soft smile, sporting a small, neatly combed beard. But as we enter the year of Petipa, the only thing we know for sure is that we don’t know much about the man who created the artistic phenomenon of Russian classical ballet. Russian artist, ballet master Marius Petipa, 1878. It was Petipa himself who turned his own life into a legend. Born in Marseilles in France into a theatrical dynasty, he had an innate knack for sniffing out success and a taste for adventure, without which it was difficult to have an artistic career. In order to secure contracts, he would even change his date of birth, pretending to be his own brother. His irrepressible temperament pushed him towards romantic adventures, as a result of which he had to flee Spain. He fought like a lion for every penny he could squeeze out from entrepreneurs or the administration of the Russian court. Petipa was not averse to borrowing other people's ideas and even scenes from somebody else's ballets. But at the age of 85 the premier maître de ballet of the St. Petersburg Imperial Theaters turned his stormy and passionate life, with its disappointments and adventures, into a highly unreliable autobiography. For 100 years, Petipa's memoirs were reprinted many times and served as a primary source for biographers. The Kirov State Opera and Ballet Theater. The Sleeping Beauty ballet to Tchaikovsky's music, staged by Petipa. Regarding his creative work, the story is even more complicated. Petipa worked in Russia for almost 60 years, for 40 of those he was the premier maître de ballet of the St. Petersburg Imperial Theaters. During this period he created about 100 ballets and dances in dozens of operas. Today the name Petipa is synonymous with the world's classical ballet legacy: He is regarded as author, or at least adapter, of all the popular ballets of the 19th century surviving to this day, with the exception of La Sylphide by Danish choreographer August Bournonville. But Petipa did much more and the significance of his work is far wider. Of course, it was not Petipa who created large classical ensembles, it was not he who adapted national dance to the stage or introduced pointe technique or the principle of ballet hierarchy, and it was not he who invented ballet d’action or pantomime ballet - a system of plastic "language" that protagonists used between dances. Maybe Petipa wasn't, as believed, even the most inventive creator of ballet combinations - he was reproached for borrowing from Jules Perrot and Arthur Saint-Léon, and he did not make a secret of the fact that he had attended Christian Johansson's lessons at the Imperial Ballet School in order to borrow original choreographic phrases. But it was Petipa, who at a time when in Europe ballet had essentially degenerated into a show, locked himself away in distant Russia and produced titanic work. He forged the best ballet company in the world and in the productions created for it he summarized and synthesized all the experience accumulated by the ballet genre over the two centuries of its professional existence. 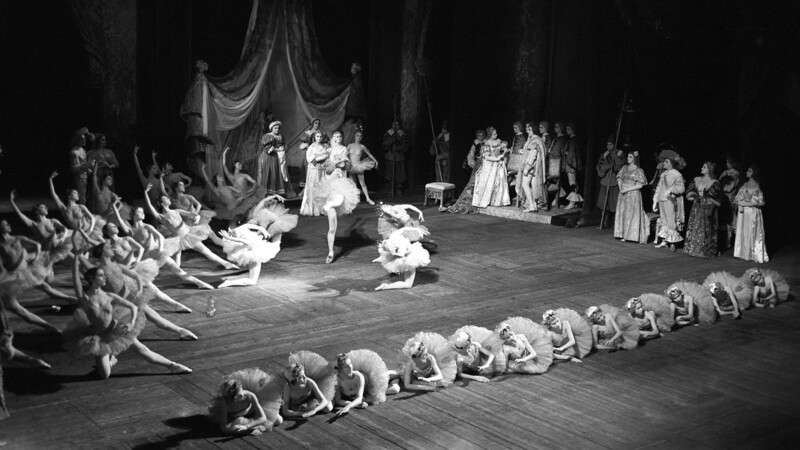 Ballet dancers of the Mariinsky Theater in the scene "The Kingdom of Shadows" from Ludwig Minkus's ballet La Bayadere, during the gala concert dedicated to the opening of the new stage at the State Academic Mariinsky Theater in St. Petersburg. In the meantime, swearing allegiance to the choreographer's legacy, for a century his followers cut pieces from the gold cloth of Petipa's ballets and fashioned them according to the taste of their time, invariably referring to his spirit and style. Harvard University Library in the U.S. houses the voluminous archive of the choreographer's assistant Nicholas Sergeyev, which contains unique choreographic notations of Petipa's productions made at the beginning of the 20th century. Until the beginning of the 21st century they remained largely ignored by practitioners and theoreticians but today they serve as testimony that even definitive St. Petersburg versions were sometimes changed beyond recognition. But it is Petipa's work that inspires his followers to interact with classical ballet and to revise, transform, and endlessly study it.